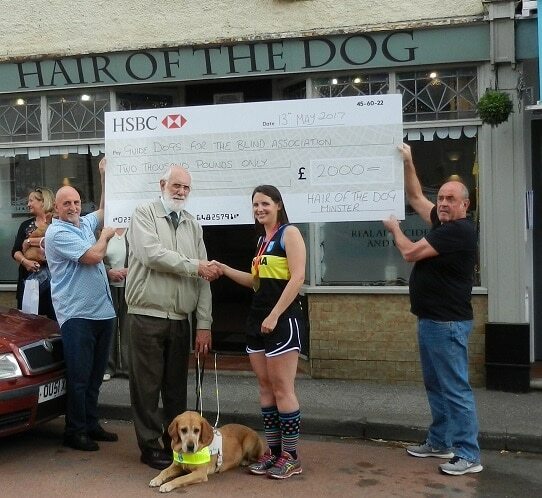 Four-legged guest Calli and her owner Barrie Penton have been warmly welcomed to The Hair of The Dog, Minster, to accept a cheque on behalf of Guide Dogs for the Blind Association. Minster’s own Emma Dickerson, ran the iconic London Marathon on April 23 to raise money for the charity. Being a regular at Alfie’s Striders running club, Emma trained hard for the challenge and already completed 26.2 miles at Brighton Marathon two weeks prior for a taster of what was to come. And the residents of Minster rallied behind her to make the fundraiser possible. Julie Beaney and Gary Hake of Hair of the Dog, vowed to help with the fundraising efforts. 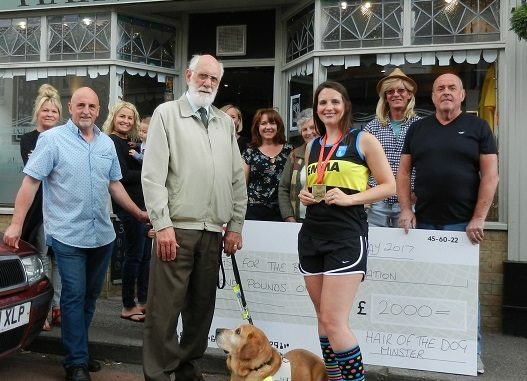 The village micropub had customers joining in with various challenges, auctions and gave generous donations. Julie also handmade a variety of Christmas decorations, sold at a late night shopping event, and resident Michael Abbott held a family Winter Wonderland day. Santa with his reindeer, balloon sculptures, raffle and live entertainment were showered with snow for a fun packed Christmas adventure. Councillor Bob Grove presented the cheque for £2,000, which was raised by the people of Minster. Guide Dogs for the Blind relies entirely on donations due to receiving no government funding. Every hour, another person in the UK goes blind, but a guide dog could help change the lives of those who are blind or partially sighted. 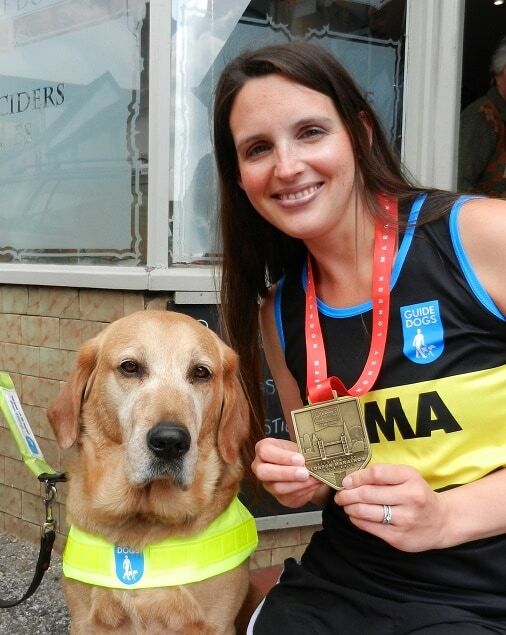 The cost is just under £55,000 to support a guide dog from birth to retirement, so any money raised is vital for the charity to continue its work.